Eli Shimanski, a senior, is ready as ever for this year, as long as he’s always listening to the album Views by Drake. Our very own visual media editor is going into his third year of newspaper. 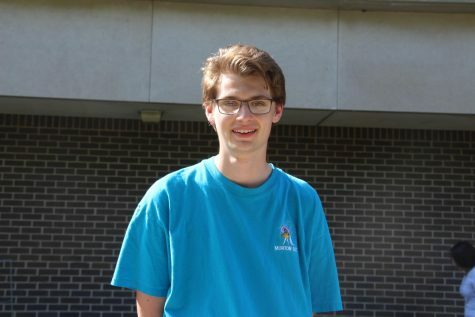 He hopes that this year he can focus in more on the skills he’s learned over the past two years, and expand on his role of media editor, creating a new section of the paper with videos and podcasts. Shimanski has one surprising skill no one could have ever guessed: inline skating! He tries to get out for at least an hour a day to practice. His specialty is freestyle slalom, which involves performing tricks around a straight line of equally spaced cones. In addition to his passion to inline skate, Shimanski loves to listen to music, especially Elliot Smith, Radiohead, Drake, and Taylor Swift -- his favorite song from 1989 being Blank Space. He also loves to walk around and hangout with friends. If Shimanski could live anywhere in the world, he would live in Boston because of the rich American history the East Coast carries.